You are here: Home Did You Read UltraRunning World No.5? 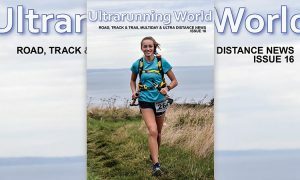 Did You Read UltraRunning World No.5? Did you read UltraRunning World No.5? If so read on and if not, get the free pdfon the Downloads page or at the link below. Ultrarunning World magazine is looking at the best ways to serve its audience and it would be useful if you could please take a moment to complete this short poll. There are various options open including paid subscriptions, including advertising and maintaining the formats currently in use, ie. free download and paid hardcopy. Generating a flow of income will enable the magazine to evolve in new ways – like a paid proofreader, which I am sure everyone would agree would be a step forward. Most people like things for free, I do myself. However the longer I spend online the more I appreciate the work that people do and have done that has enabled me to do the things I want to do. 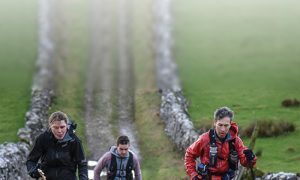 All the content in Ultrarunning World is from runners and all that content, including many images has been kindly offered free. Most of the content is available free online somewhere although the last issue had more unique stories than previously and that is the trend I would like to see continue. 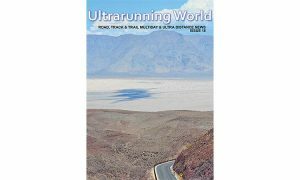 Ultrarunning World is also available as a free ipad download via Magcloud – only a small handful of purchases have been made and an equal amount of donations has been offered. So it’s clear that visitors are happy with free. How we develop this model is up to you.